China’s construction and opening of a cinema on Phu Lam island in Vietnam’s Hoang Sa (Paracel) archipelago violate Vietnam’s sovereignty over the archipelago, said Vietnamese Foreign Ministry’s Spokesperson Le Thi Thu Hang. Hang made the statement on August 1 in reply to reporters’ queries about Vietnam’s reaction to China’s deeds on Phu Lam island. 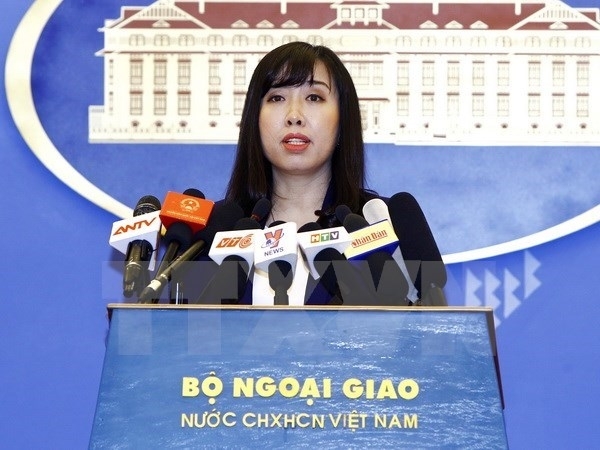 “Vietnam has full legal foundation and historical evidence to affirm its sovereignty over the Hoang Sa and Truong Sa (Spratly) archipelagos,” she said. China’s deeds violate international law and cannot change Vietnam’s sovereignty over the archipelagos, she affirmed. Vietnam objects to China’s building and opening of the cinema and requests the country not to repeat similar actions, the spokesperson stated.